If you’re looking to build your own fire pit– we’ve got you covered. Below we’ve assembled a list of 20 DIY fire pits- just click the View Plans button to access the free instructions. 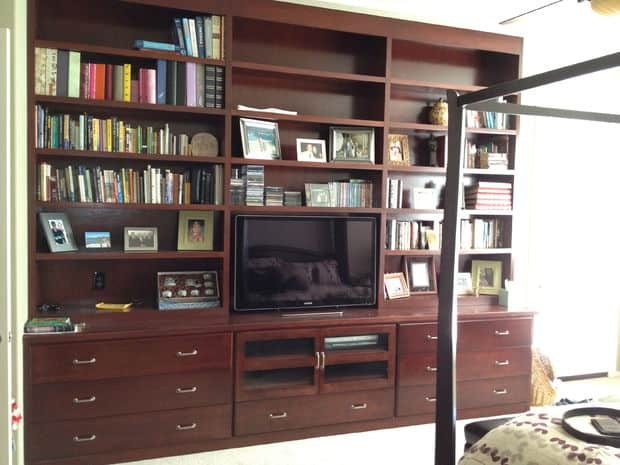 Besides that, these builds can serve as an inspirational source of ideas if you want to do your own custom construction. 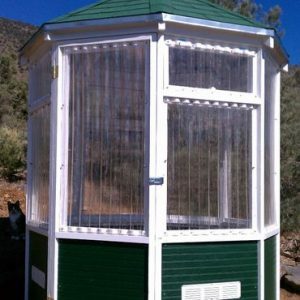 There are some really unique designs- including a porch swing design, an upcycled washing machine, a glass panel plan, even an indoor coffee table option. Scroll through the list and stoke your imagination with these unique designs. This is fire pit is great for entertaining and will become the focal point of your yard. It is an ambitious project, however – you’ll need lots of pressure treated lumber, galvanized lag bolts, white pine, concrete, deck screws, steel re-bar, and four or five wooden swings. Leveling the ground, setting up the structure, and attaching the swings will take up most of your time. Use some concrete or bricks to make a foundation for the fire pit and begin setting it up. 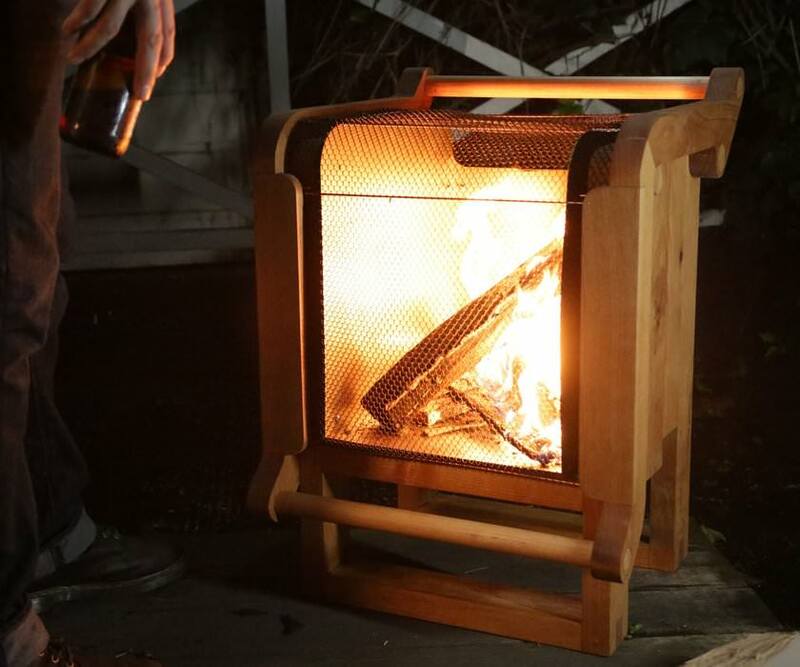 This small firepit is made out of wood and has a sheet of stainless steel inside so you can safely burn wood. 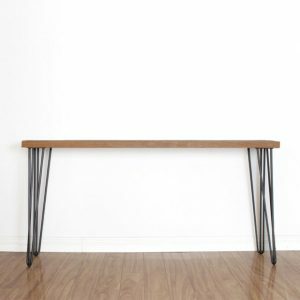 To make this, you’ll need a saw, power drill, chisels, clamps, steel, and a wood of your choice. First, cut the wood, laminate it, join the arms and shelves together, and attach the legs. Then sand and finish the wood before assembling the metal components. Attach the base with the metal bucket and lit your fire. 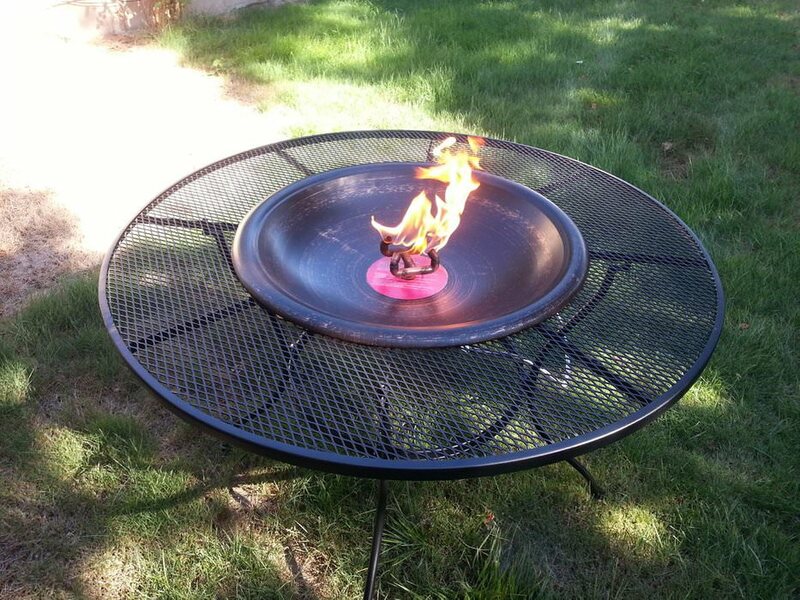 This creative builder made a simple fire pit out of an old washing machine and mattress frame. He removed the drum and bought some steel rods, flat bars, and spray protective enamel. Then he cleaned the drum and sanded it down. The bed frame was cut into pieces that would become the legs, and he welded these to the drum before painting it. He even twisted the steel rods to spell out his family’s initials and mounted that to the shaft. This table is aesthetically pleasing and fully functional when the fire isn’t burning. To make it, you’ll need a steel patio table, saw horses, black paint, welding tools, and a power sander. 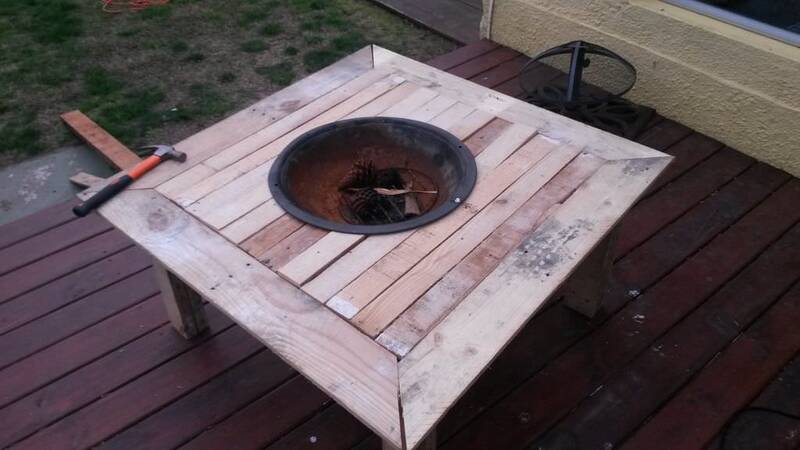 Cut a hole in the center of the table and insert your fire pit. Insert a flat bar for support and weld the fire pit into the center. Once it is secure, build the burner by brazing the copper together and attach it to the bowl. 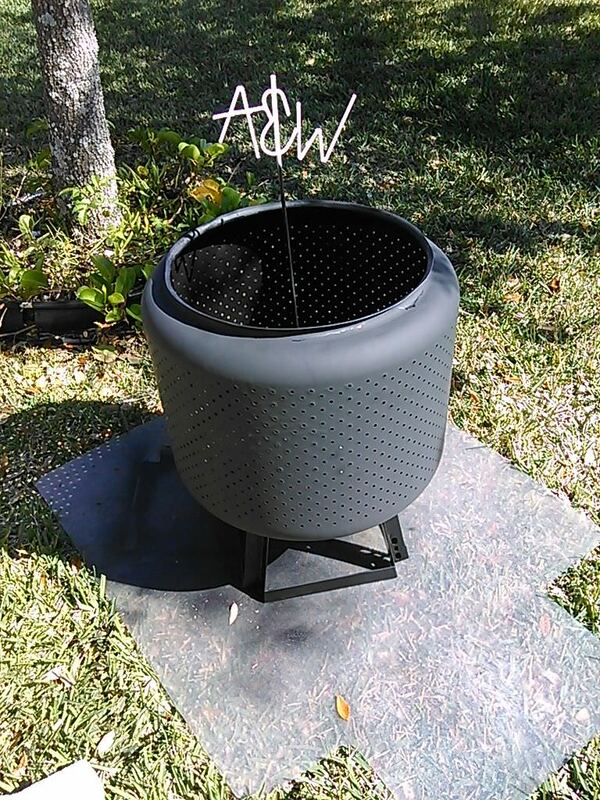 This fire pit makes a great addition to your backyard and can be made in any shape that you want. This builder chose to make a square shape and dug a hole about 50cm deep. After mixing some concrete, lay heavy stones around the perimeter. Then pour the concrete on top of and between the stones. Repeat this process while also adding some drainage holes if you plan on putting the fire out with a hose. You can then decorate the outside with more stones in cement. Pallets can be recycled and made into so many different things – if you have some laying around, you can turn them into a fire pit. Separate the planks of wood and screw together a pair of legs. Then create a frame, saving your prettiest pieces of wood for the table top. 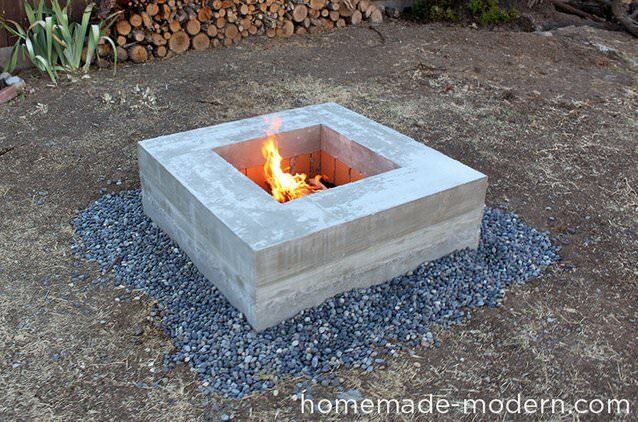 Place your metal fire pit in the center, attach it, and fill in any blank spaces with smaller cuts of wood. 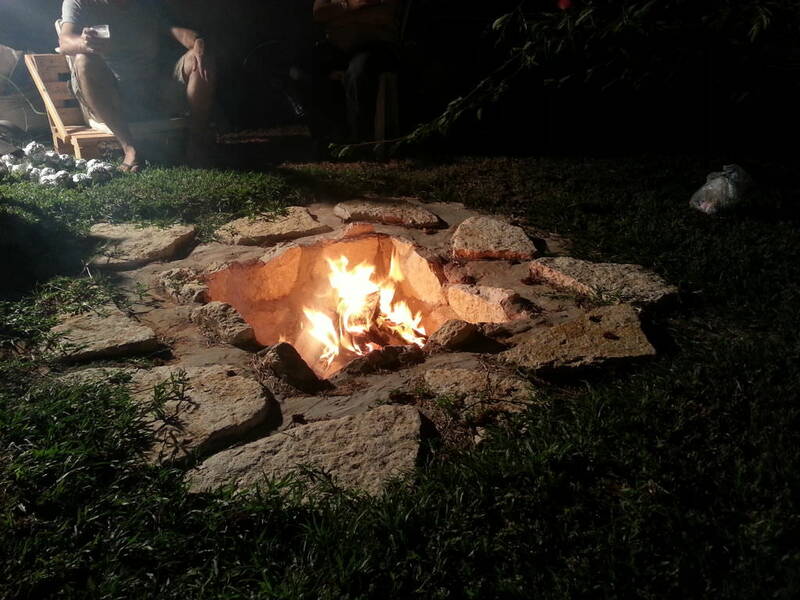 This fire pit is fairly simple to make and will last for years. Required materials include cement, rocks, a mixing drill, trowels, gravel, and cement sealant. Simply lay out the rocks, mix the cement, and start laying down the first layer. Build two more layers before brushing the rocks with the cement sealant – this will protect the rocks and keep the cement from cracking or chipping. 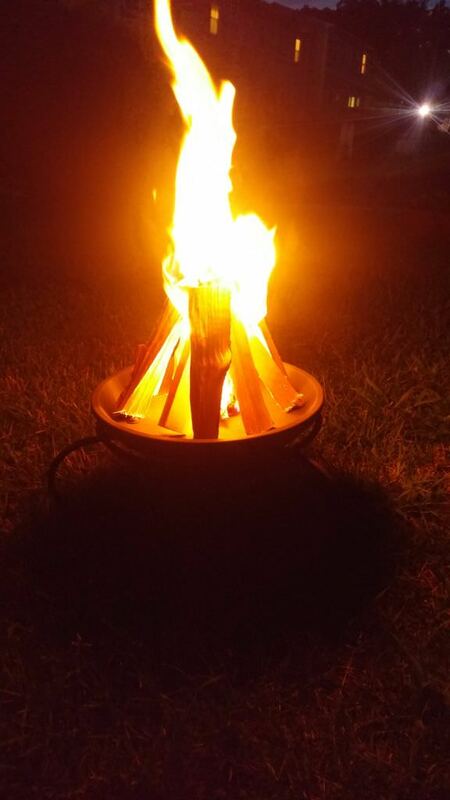 This is a very basic fire pit that’s super easy to make. Made into a cube, this actually looks very expensive and modern. To build, you’ll need plywood, a band saw, concrete, sandpaper, and hot glue. Cut and measure your wood before gluing it to form a cube. Pour the mixed concrete into the mold and let it set for around two days. Then you can remove the plywood mold and start using the fire pit. Using a planter, glass panels, silicone sealants, a hacksaw, rocks, coffee tin and expanded metal grating, you can make a professional looking fire pit. Using the planter as a base, cut the grating and attach it to the top before adding the coffee tin and glass box. 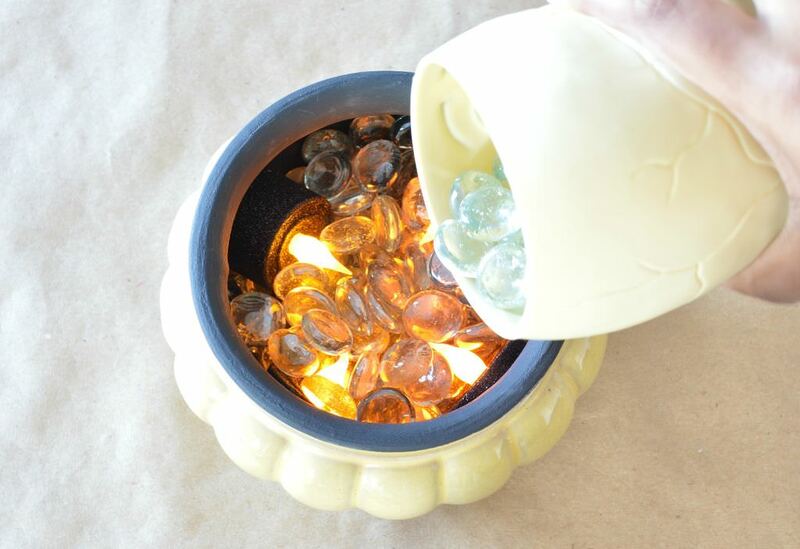 You can use silicone to fill in any gaps and add some decorative rocks around the fire pit. This is a great decorative focal point – just be careful lighting the flame! 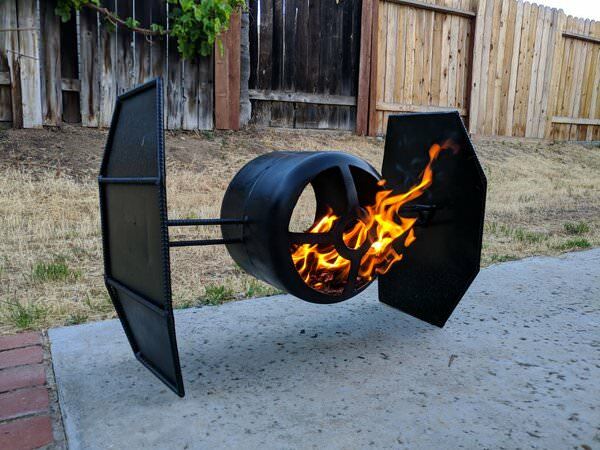 This creative fire pit is shaped like a tie fighter from the popular intergalactic franchise. 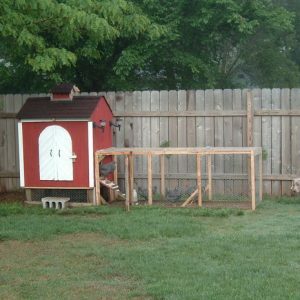 To make this, you will need a propane tank, rebar, sheet metal, welder, and an angle grinder. First remove the value from the propane tank, then cut and weld the rebar to make the wings. Next, attach the wings to the body and spray paint the whole thing black. Once the paint is dry, you can sit back and light your fire. 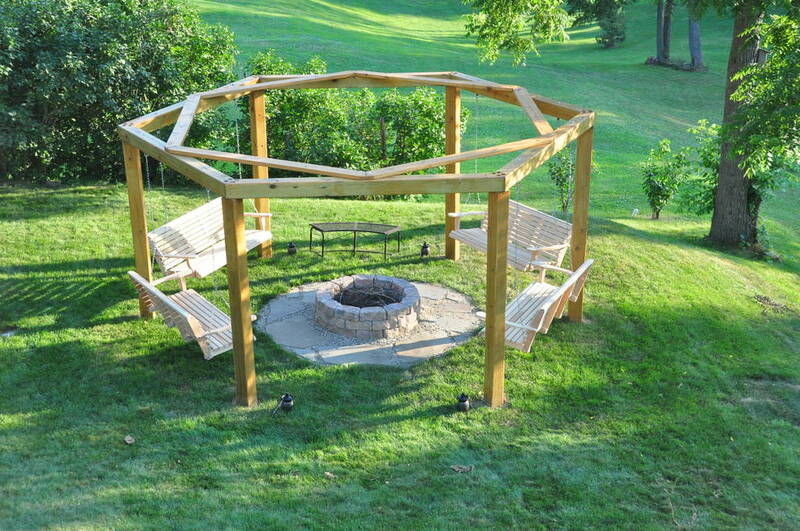 If you have a large outdoor space, this firepit project is perfect for you. Expect to spend around $500 on supplies but remember that this is much cheaper than buying something premade. It would also be helpful to use SketchUp or another computer application to design your layout to figure out the dimensions you need to dig and how much gravel and patio stones you need to buy. This is a simple and easy DIY project to follow – all you need is a shovel, wheelbarrow, galvanized ring, bricks, and some stepping stones. Dig out a hole and level it before laying down the bricks. Then attach the metal ring and place stones around the perimeter to ensure the grass won’t catch on fire. Then you can place some wood in the center and light your flames. If you’re worried about safety, just increase the width of the perimeter. Perfect for relaxing at home on a cold winter day, this fire pit fits right on your table. To make this, mix some cement and pour it into a bowl or a round mold. Once that is set, place a propane tank in the center and some lava rocks around them. Just make sure to place this in the center of your table where it can’t be accidentally knocked over. 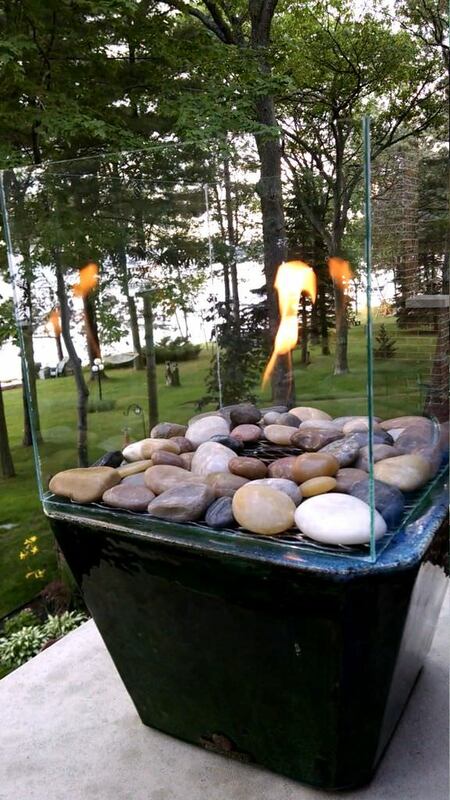 This fire pit looks professional and decorative. Required supplies include closure bricks, a trowel, fireclay, shovels, a hammer, mortar, and a cement mixer. You definitely need to make some blueprints for this on paper and figure out all of the details before you start building. This builder even chose to lay out the bricks in a herringbone pattern – it takes extra time, but the results are worth it. This fire pit is easy to make. To build this yourself, craft the fire ring out of copper pipe and fittings. Then use quick couplers and a flexible pipe to connect the propane pipe. You’ll need to hold the ring in place with the frame with a hose clamp. To light it, pour some lighter fluid over the fire ring and then open the propane valve when the flames start to rise. 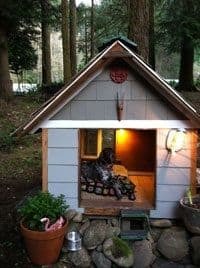 This is a great solution if you don’t have a backyard. 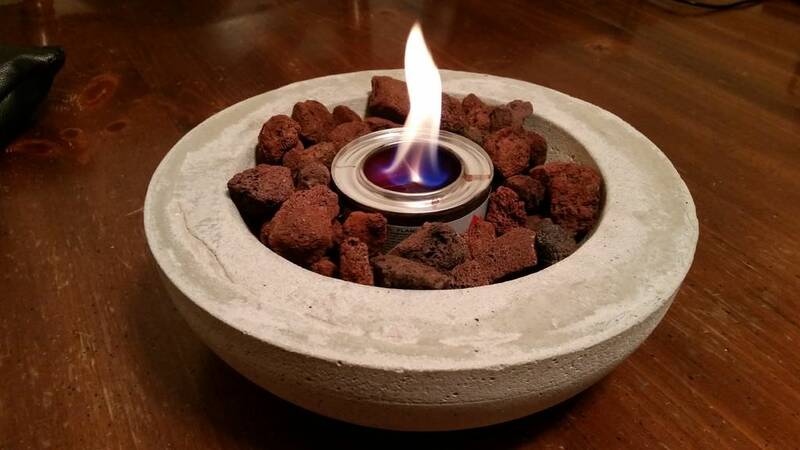 Using lava rocks, a nail gun, quickrete, 2x10s, a miter saw, angle iron, a miter saw, you can make a fire pit on your porch. First, make the concrete table top and then craft the burner and basket. Then craft the table frame and assemble everything together. You can also get a store bought burner or use propane for the fire. If you don’t want to deal with the smoke danger of a real fire, this is a great alternative DIY idea. You will need some LED candles, black paint, glass gems, double-sided foam stickers, and a ceramic or earthenware container. Paint the inside of the container black and pour the gems into it. Place the stickers on the base of the candles and insert them around the edges of the container and you’re done. 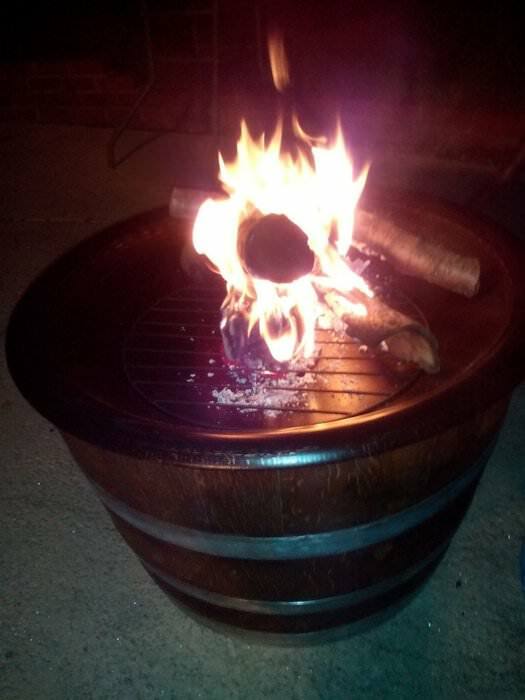 If you have an old wine barrel in your garage, you can turn it into a fire pit! You just need some sandpaper, wood stain, a base or the fire, and a belt sander. You can also ask your local liquor store for any barrels they might be throwing away. 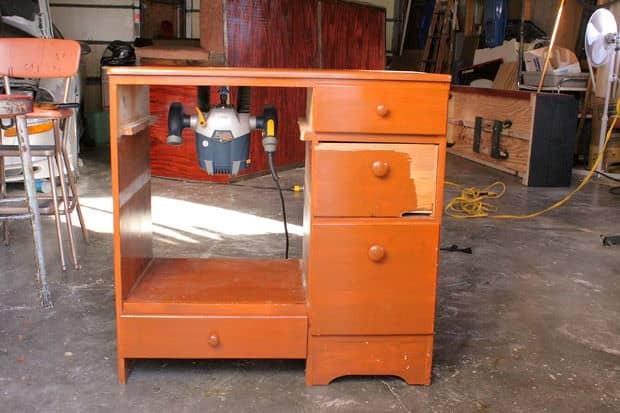 Then start sanding it – once you have a smooth finish, you can stain it. 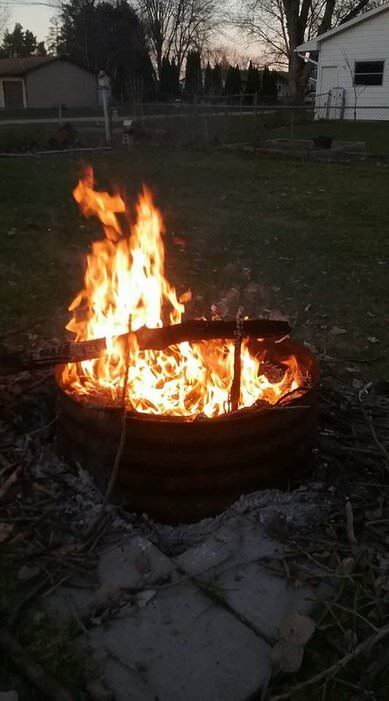 Place the fire pit on top of the barrel and you’re done. 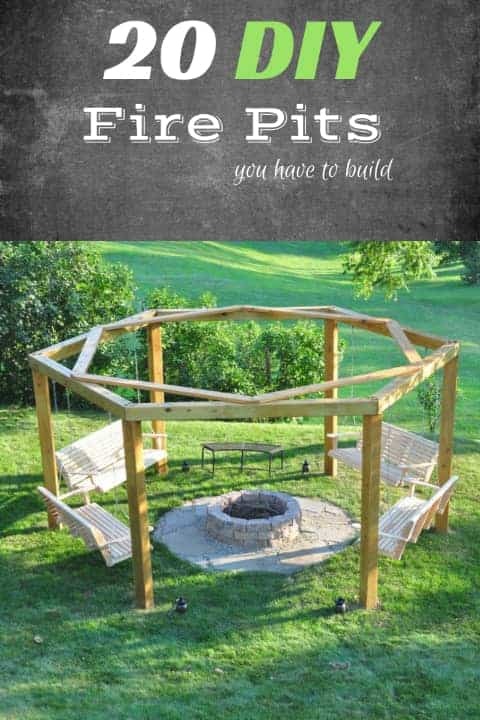 This DIY plan is perfect for those with small backyards or those that don’t want to deal with large flames. A serving tray and plant stand make a great base for the fire pit. Simply screw or weld those together before coating them with heat resistant paint. If you buy wood logs, you’ll have to them in half so they will fit here. Depending on how often you use this, you might also want to reapply the paint regularly. 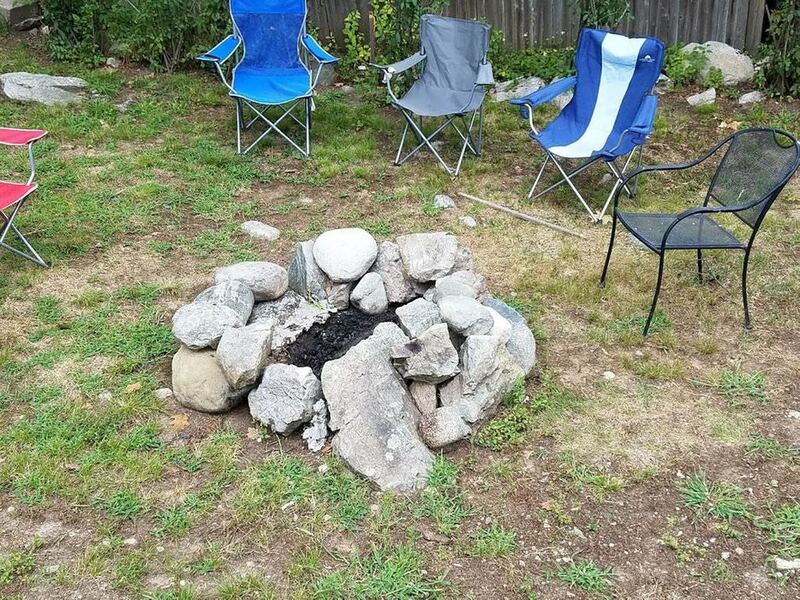 This builder had a large (almost boulder-sized) rock in his backyard that was too big to move or dig out, so he turned it into the foundation of a fire pit. Surround the rock with smaller and medium-sized rocks. Ideally, you would use cement to keep the rocks in place together. You can then dig a hole inside the pit or use a metal garbage can as the base of the flames. Fire pits make it possible to light a fire in your garden. Fire is not only nice and warm, but also attractive and cozy. 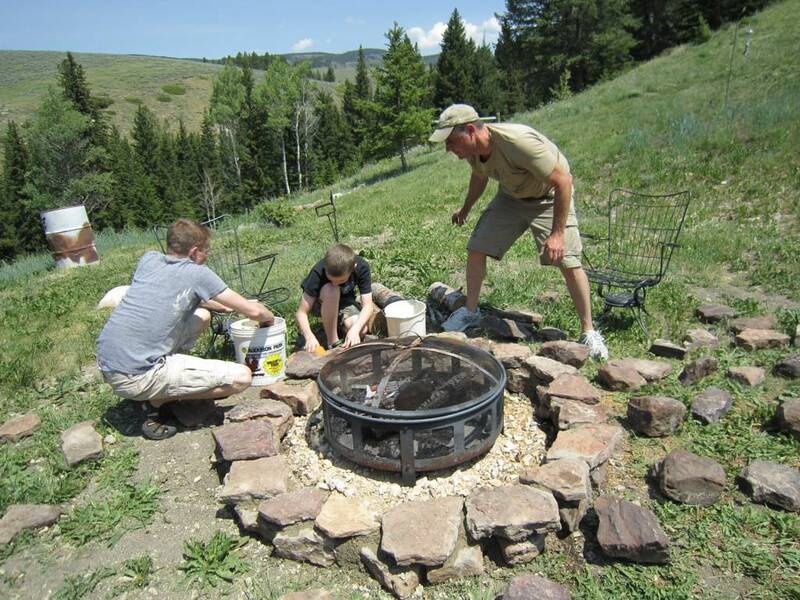 A fire pit is a good alternative to a campfire or digging a hole for a bonfire. It creates a social place in the garden where you can enjoy a good conversation under the stars at night. • By painting the basket with black heat-resistant lacquer over time, the beautiful black color will be retained. Do you like a sleek model or do you prefer a traditional round design? They come in many different shapes and sizes. If you are looking for a larger number of them for an event, price may also play a role and perhaps a simple option is sufficient. If it concerns your own garden, other factors play a role. The design must then fit within the atmosphere of the garden. In a fire pit, you can easily make a nice fire, where you can fully enjoy the flames and the heat! You can find many types, large and small, with or without barbecue grill and with or without foot or bottom plate. And of course in many forms! They’re mostly made of steel and have a black, heat-resistant coating. However, options made of rusted steel are also available. There is also the stone fire pit. The advantage of this is that weather conditions hardly impact it. There are always a number of fire pits on offer and sometimes you can get a cheap deal on bundled offers. These bundle offers offer additional advantages when purchasing, for example, accessories such as a grill grate, an ash catcher plate or a protective cover. Find a suitable place to place your pit so that the fire comes into its own and your guests can sit around it properly. Consider the heat of the fire pit and, for example, the presence of a shed or electrical appliances. Think of your own safety and always make sure that you have extinguishing equipment at hand. Think of a foam extinguisher and fire blanket. Safety comes first! 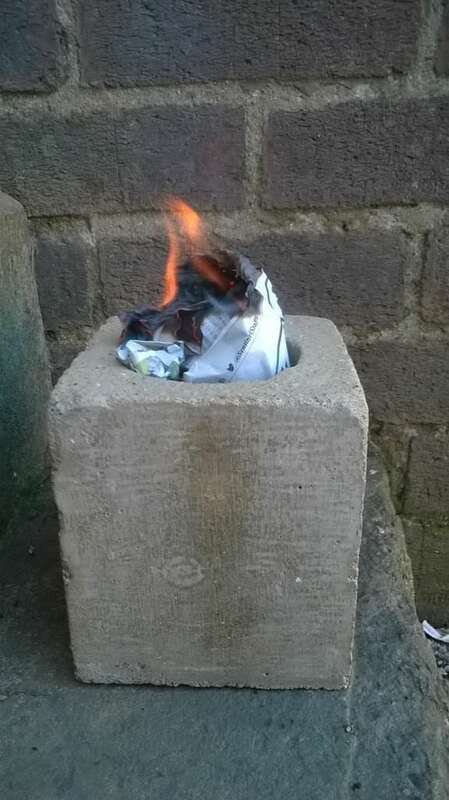 For lighting the fire pit, use newspapers or preferably firelighters or paraffin lighting blocks. Never use liquid fuels such as spirit etc.! The chance of life-threatening accidents is enormous! If you place a fire pit on a terrace, it is good to place it on a stone surface and thus prevent the ash from burning the wood of, for example, a deck. 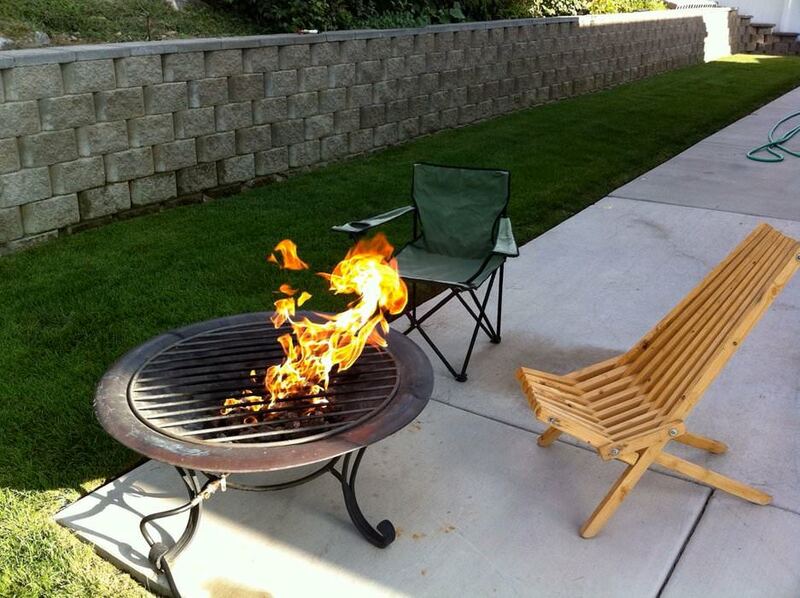 Make sure you place the fire pit in a place away from anything that can catch fire. Think of dead grass, dead leaves, barn or tree. For the collection of ash and wood residues, you can order a loose bottom plate. There are also practical barbecue mats available that are easy to use under a fire pit or garden fire pit. Do not extinguish the fire with water, as the sudden change of temperature can damage your fire pit. Use sand or mud. 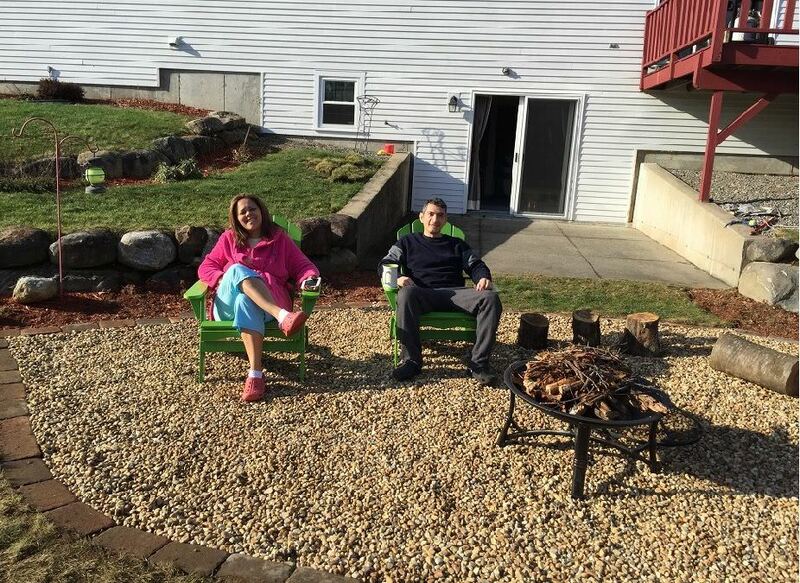 There are various accessories available for the fire pit so that you can, for example, turn wood blocks at a safe distance or place them in the fire. If you do not use your fire pit in the winter months, cover it with a heavy water-resistant cover to protect it from the weather. There are traditional round fire pits, but also square, cast iron and rusted versions of Corten steel. You can find them with us all! For example, we sell fire rings next to fire pits. Both of these products are pretty similar, but there are a few differences. Fire pits generally stand on legs, while a fire ring is directly on the ground. A handy accessory is a bottom plate. This ensures that the ash residue ends up on the plate instead of on your terrace. That way your terrace will always be clean. They’re mostly made of metal or stainless steel. It is fire-resistant material that can be cast in many different forms. There are many different designs to be found in the range of fire pits. Some models are painted and others are for example made of rusted steel or corten steel. But one thing is actually fixed; in time, almost all fire pits will rust under the influence of the weather and the heat-cold. To be able to enjoy your pit longer, there are a number of maintenance tips. This keeps the it clean and does not have to be replaced every year. 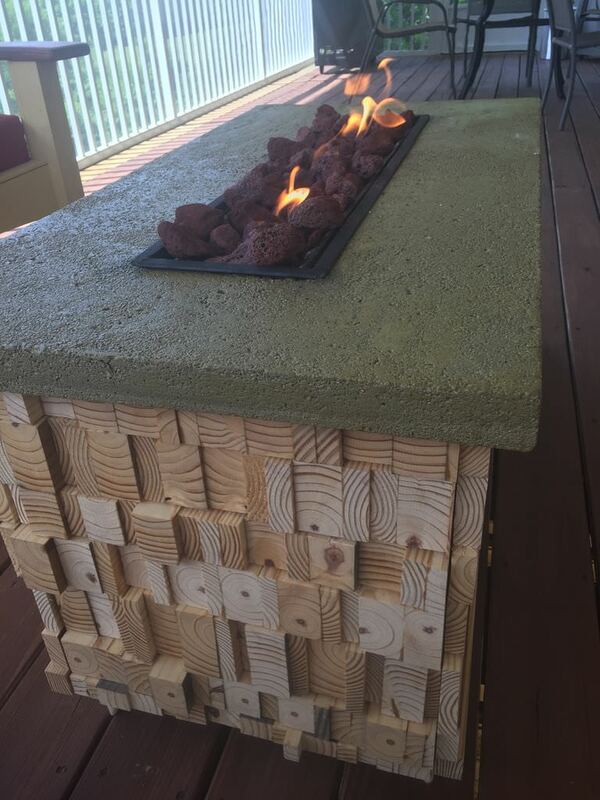 Place the fire pit on a level surface and use a metal base. This will catch all ash residues. Wait until the fire pit has completely cooled down. After cooling, immediately wipe the fire basket. Ashes can be thrown away or used as manure in the garden.